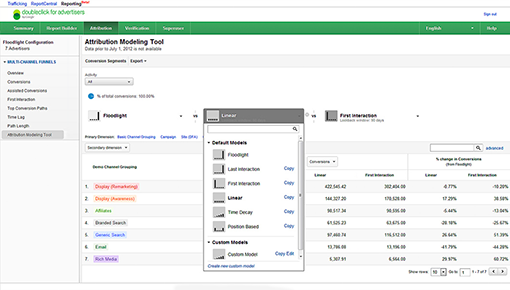 Drive a higher ROI on your paid media campaigns by harnessing the power of Dynamic Yield’s personalization engine into your DoubleClick account. Push personalization beyond your site and into your Dynamic Ads using rich audience data captured by Dynamic Yield. Build personalized ad creative using Dynamic Content and product recommendations directly within the Dynamic Yield platform. With our powerful personalization algorithms, choose the best ad variations in real time to better reach and engage your customers at any touchpoint. Encourage users to return to your site by enriching your paid media ads with personalized product recommendations. Reach brand fans by building ad variations displaying new products or the most popular products. Reach customers across the Google Display Network and engage them at the right place, in the right time, with personalized Dynamic Ads.